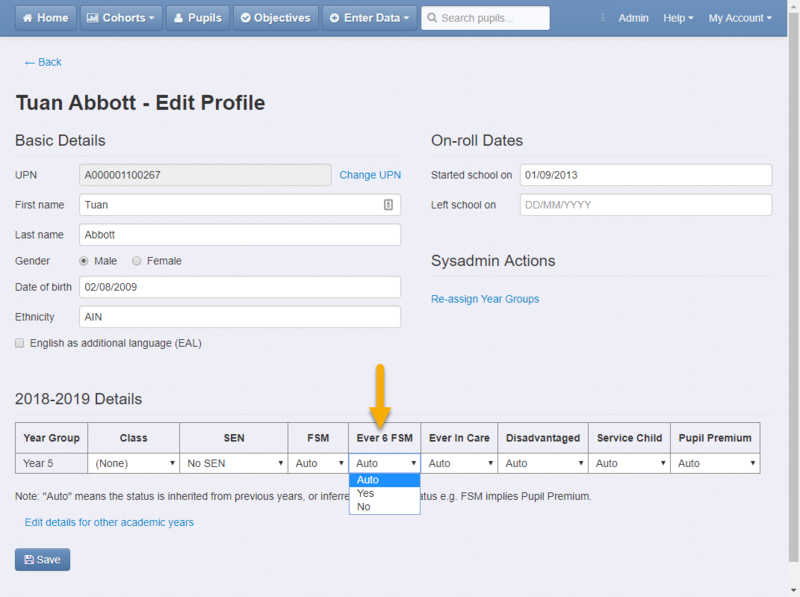 You can use Insight's filtering and grouping options to report on your Ever 6 FSM children. How does Insight determine which pupils are Ever 6 FSM? 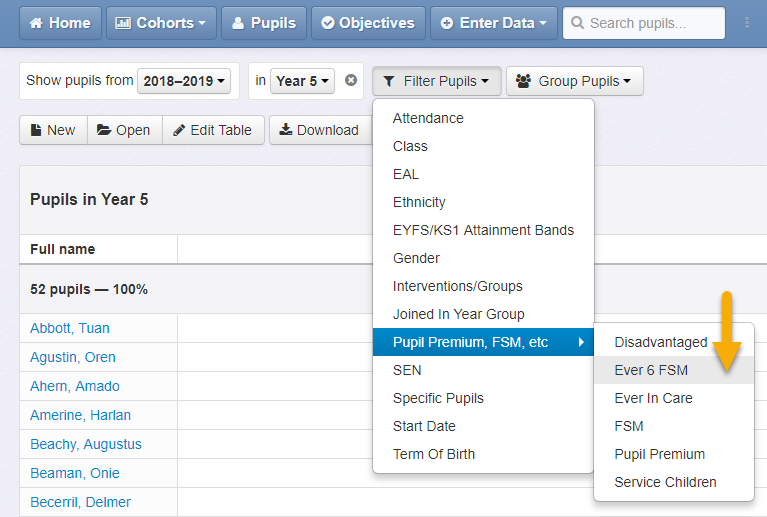 The Ever 6 FSM status of a pupil can either be explicit set, or automatically inferred from any FSM flag in past years. When set to Auto, Insight will look for any FSM in the past 6 years to infer Ever 6 FSM.